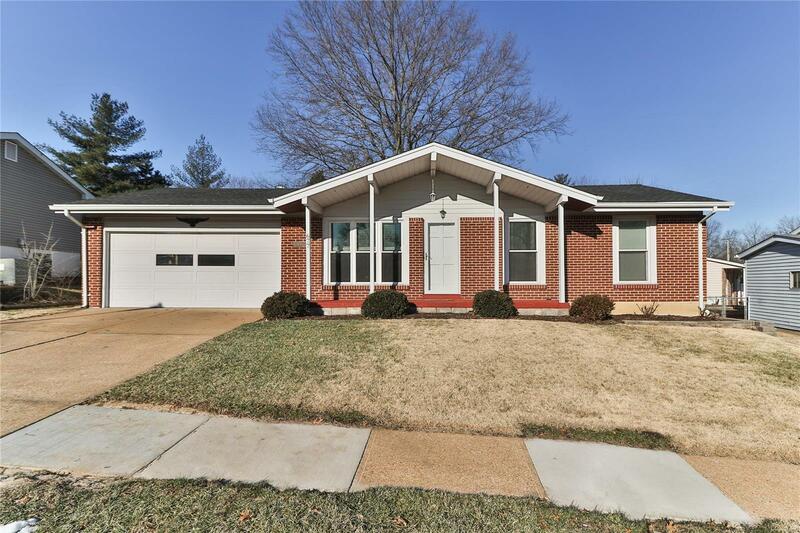 Welcome to 677 Green Hedge Dr, located in Rockwood School District! This 3 bedroom, 2 bathroom home with a 2-car garage is move in ready! Youâll love the open concept Kitchen and Living Room, which offers tons of natural light and plenty of space to move about. The eat-in Kitchen has a spacious pantry, cabinets for storage, a double sink, and a beautiful view overlooking the backyard. Down the hall youâll find the Master Bedroom, full bath with beadboard detail, and two additional bedrooms. The finished Lower Level has plenty of space for a family room, home gym, and storage. Complete with a full bath and laundry station with sink and shelving. Around back, youâll find a generously sized fenced-in yard with a utility shed, covered patio space and an open deck - the perfect place to entertain in the upcoming months!